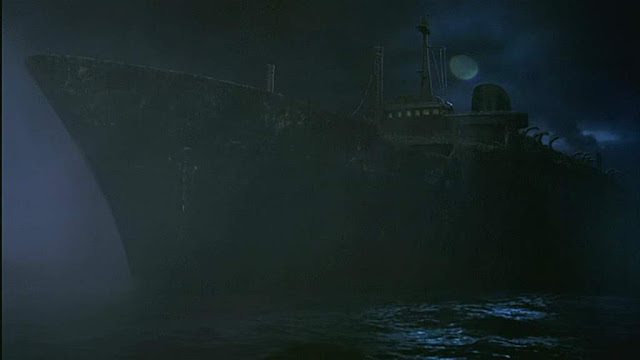 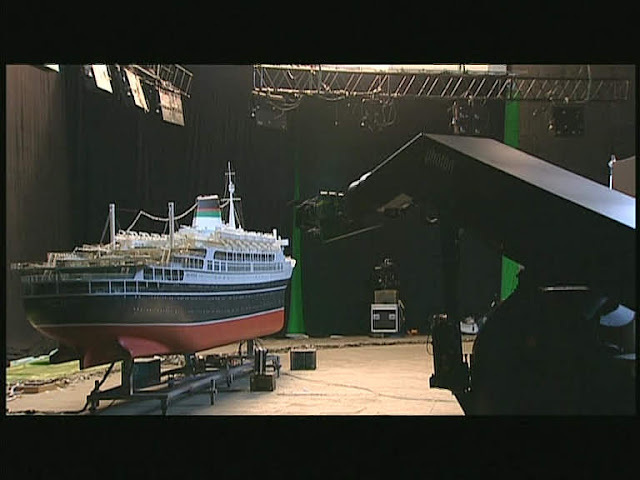 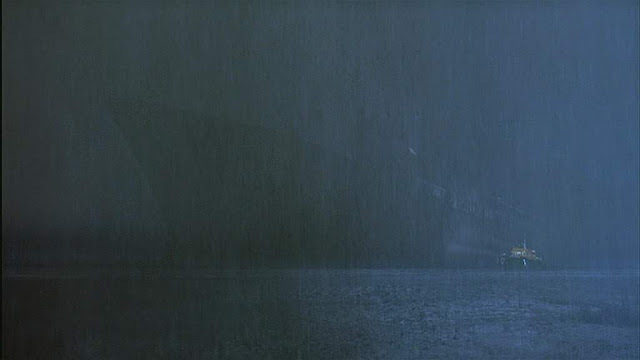 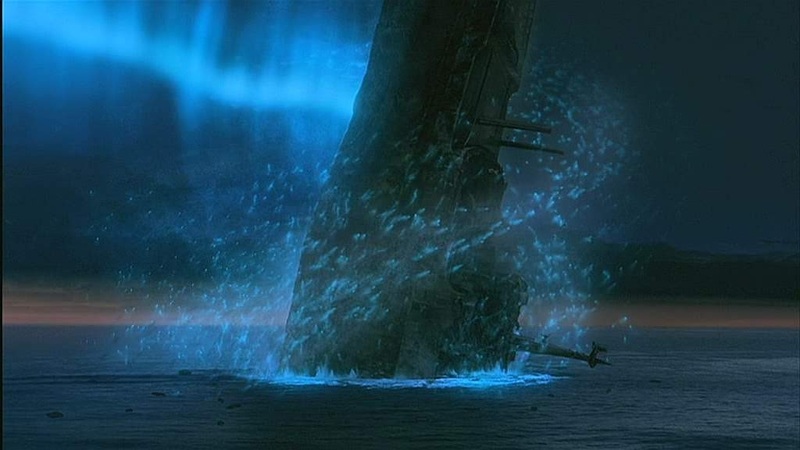 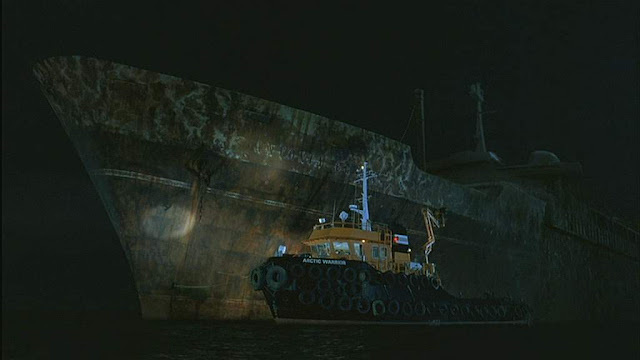 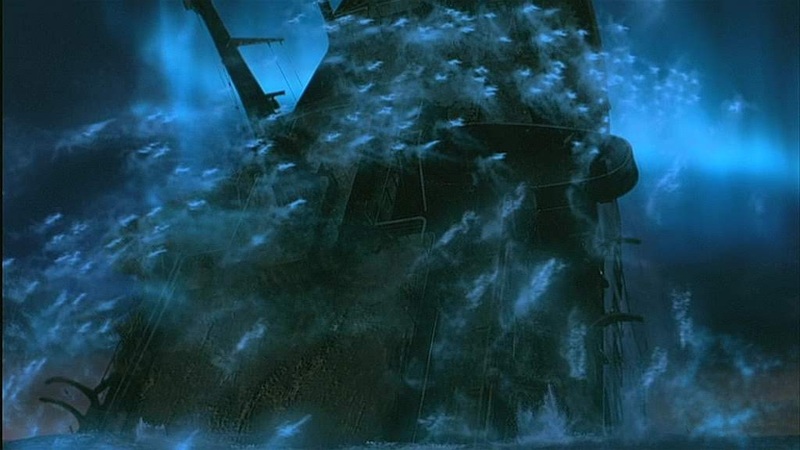 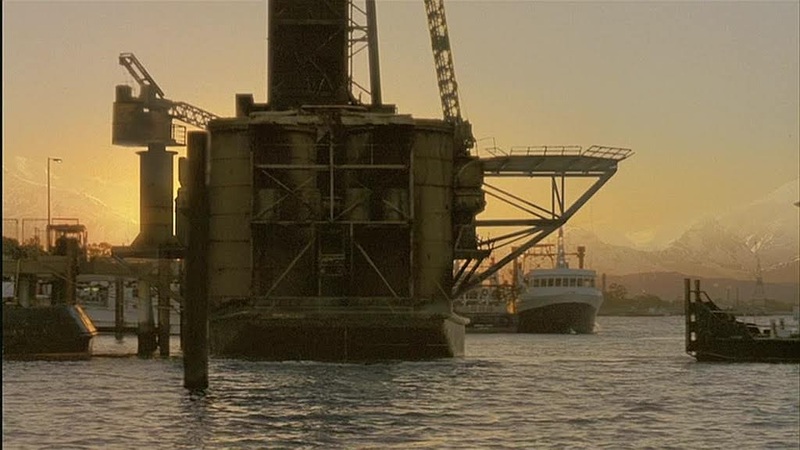 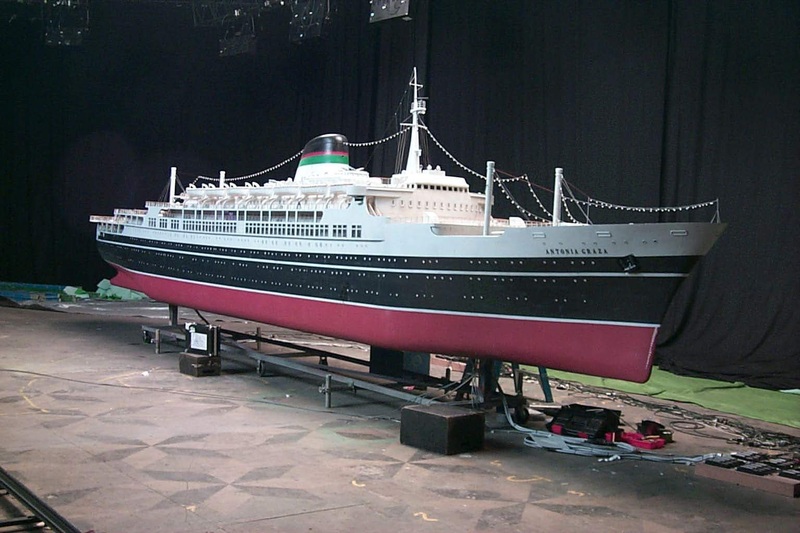 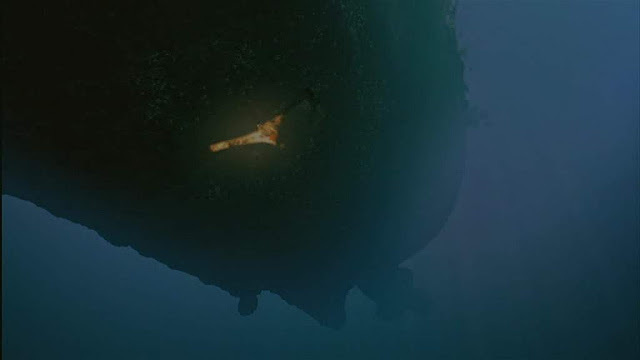 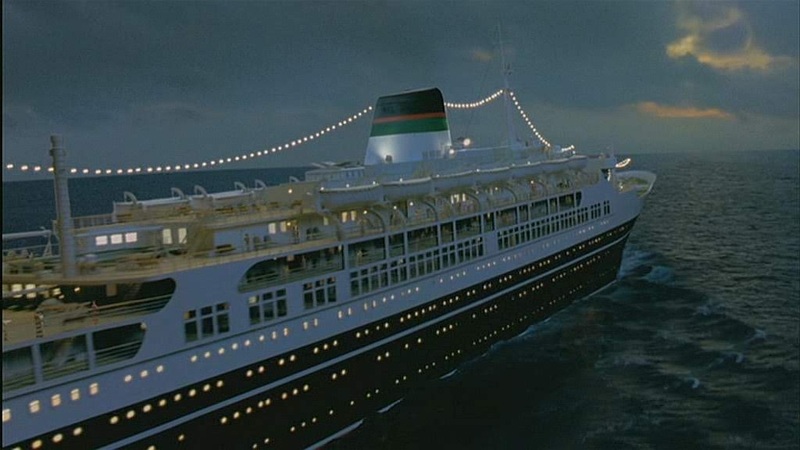 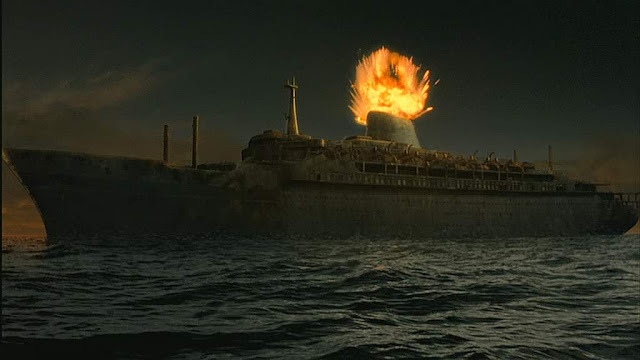 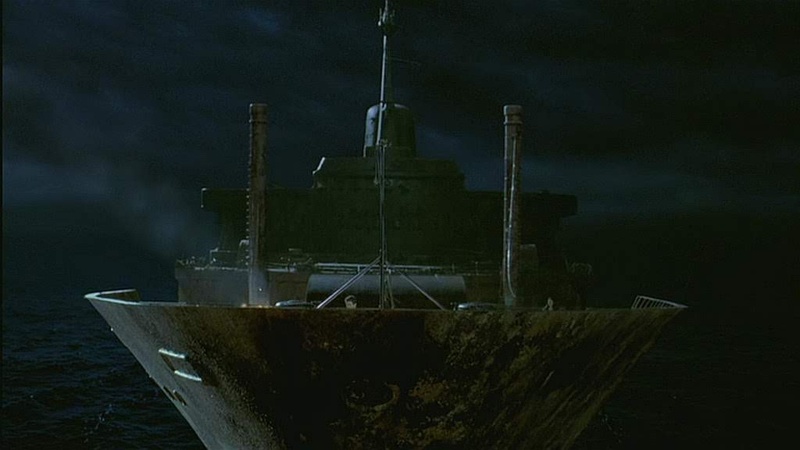 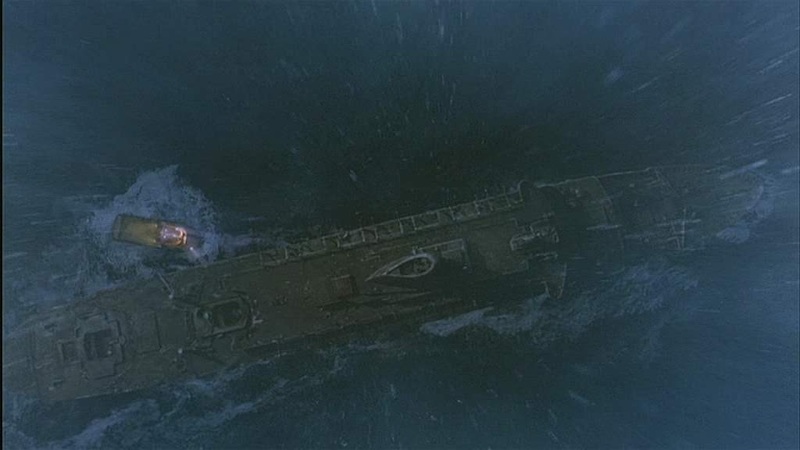 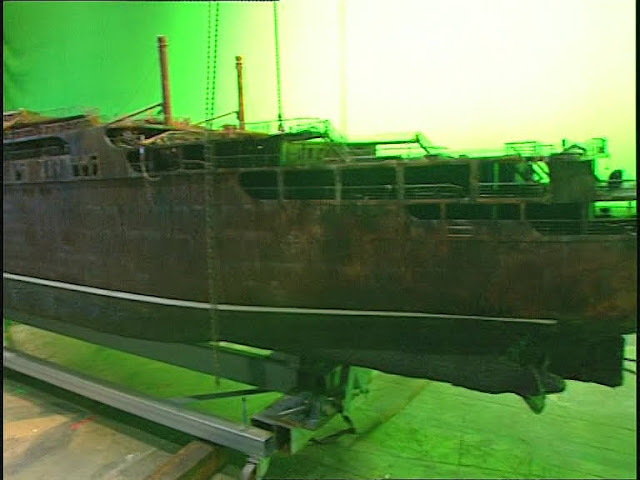 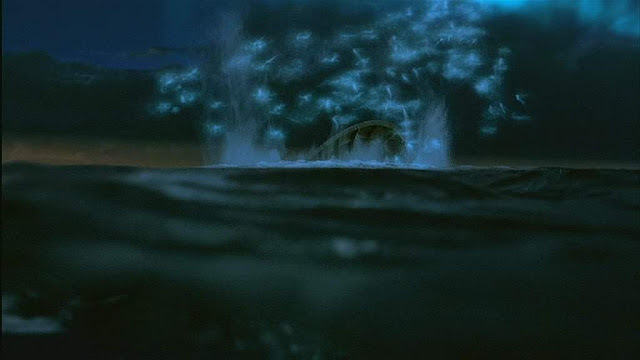 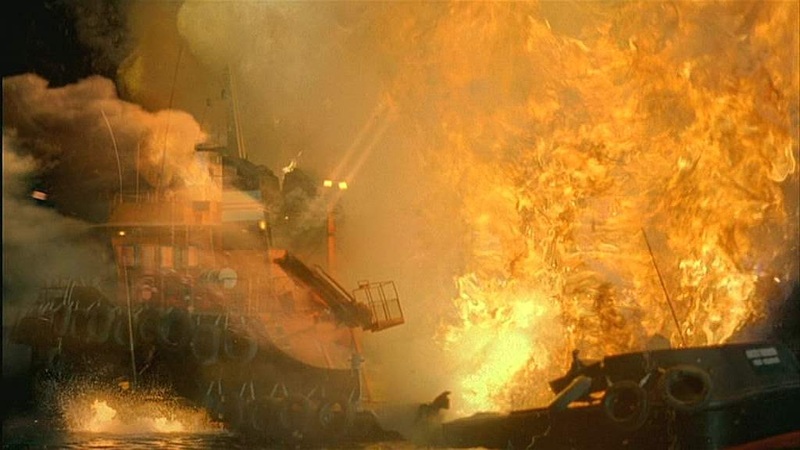 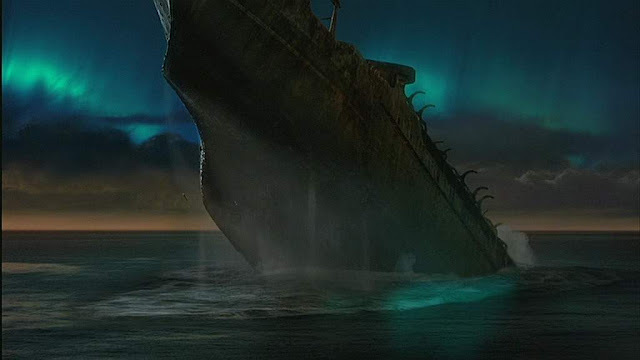 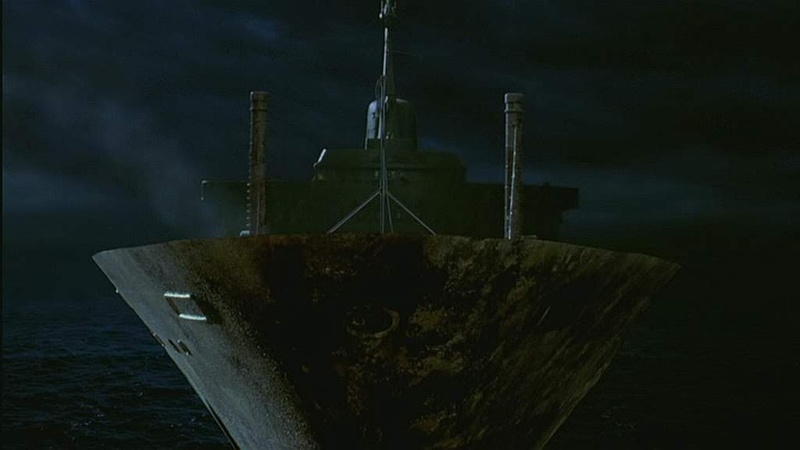 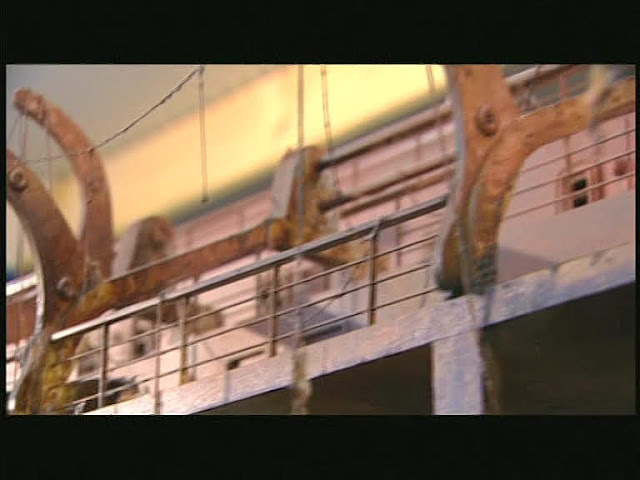 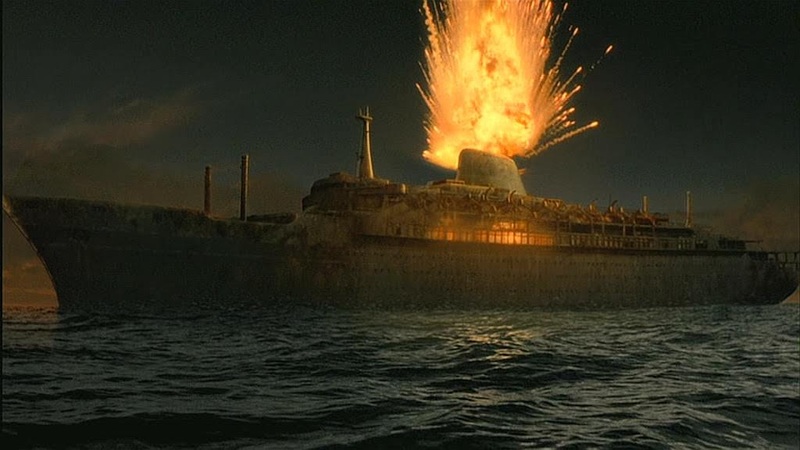 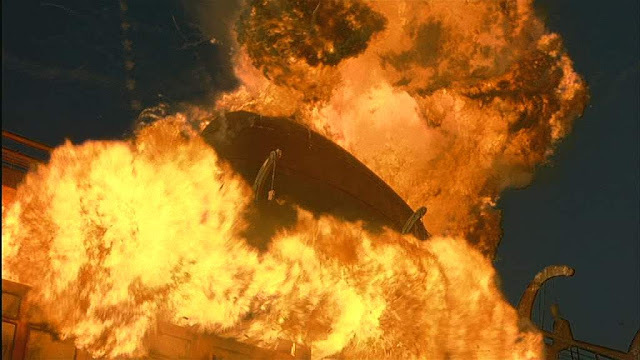 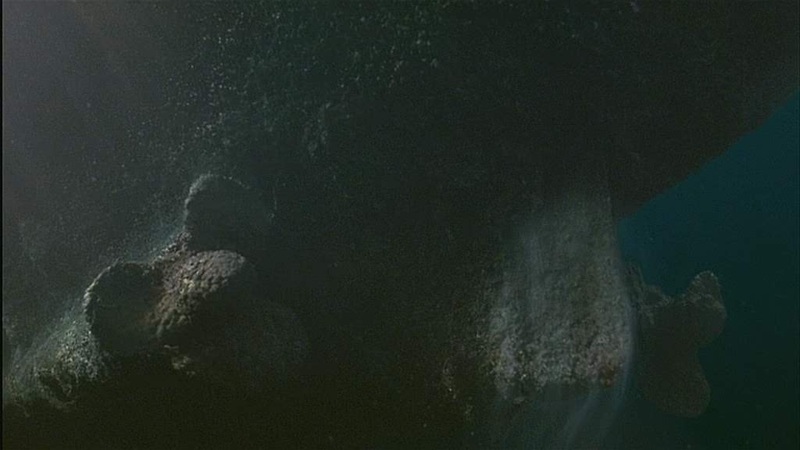 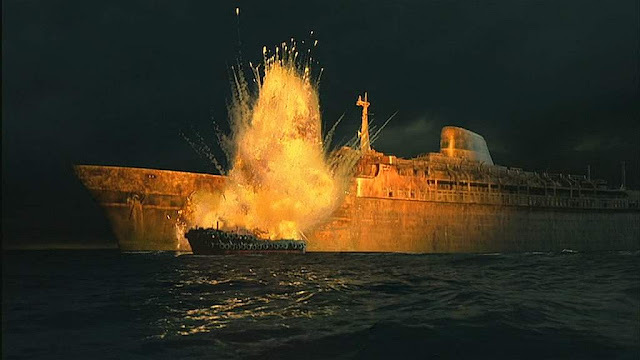 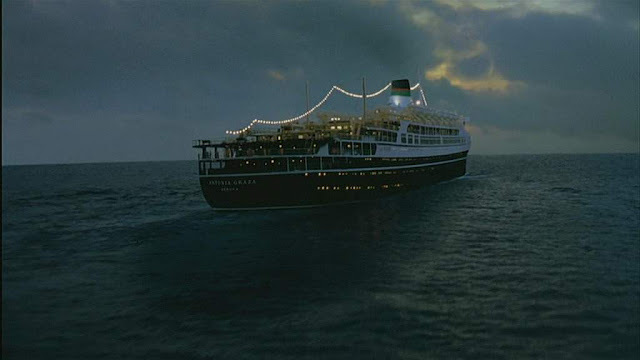 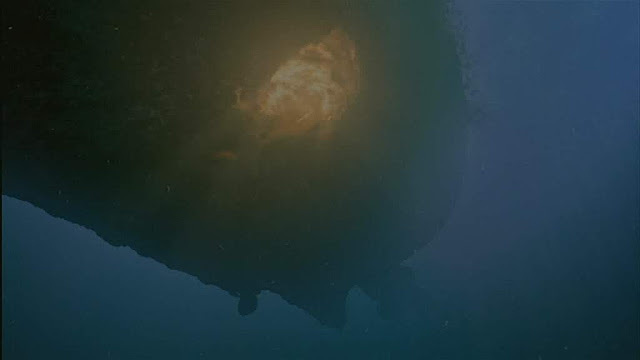 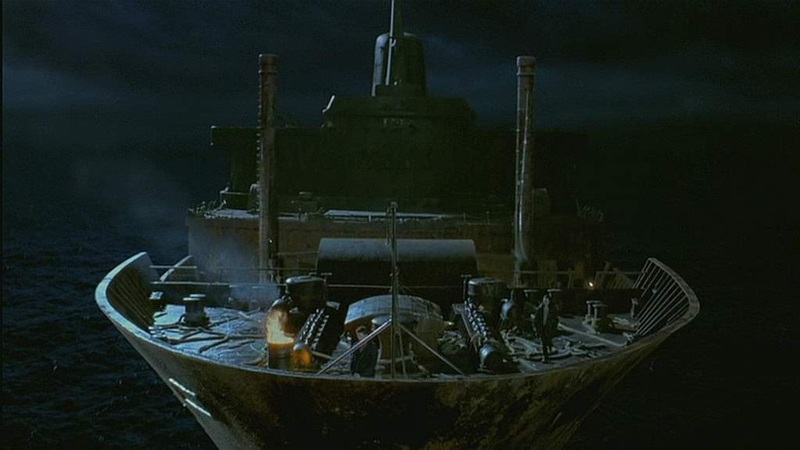 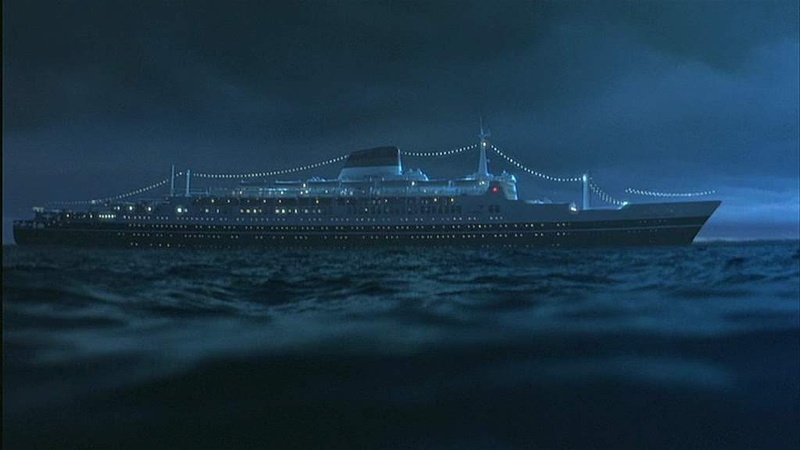 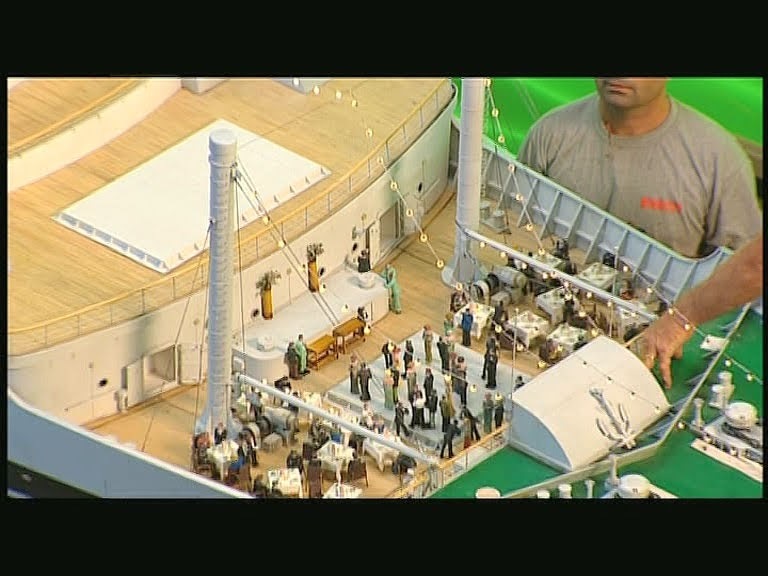 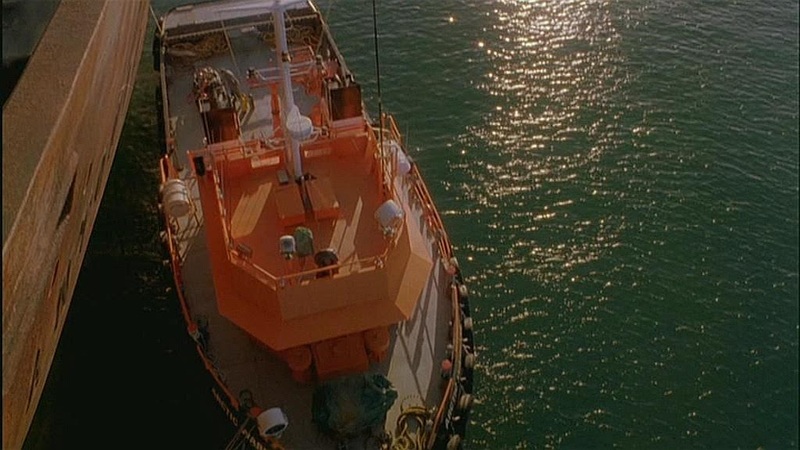 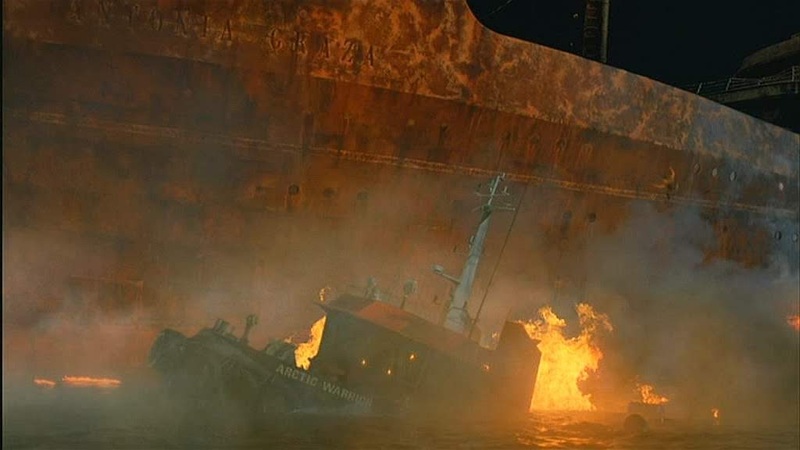 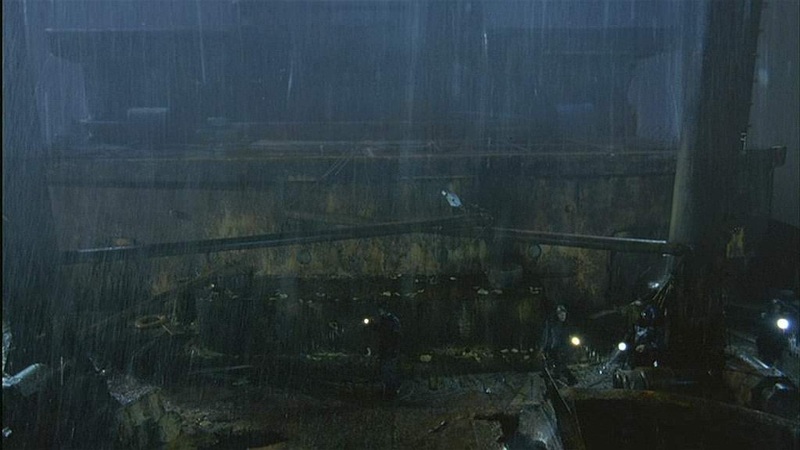 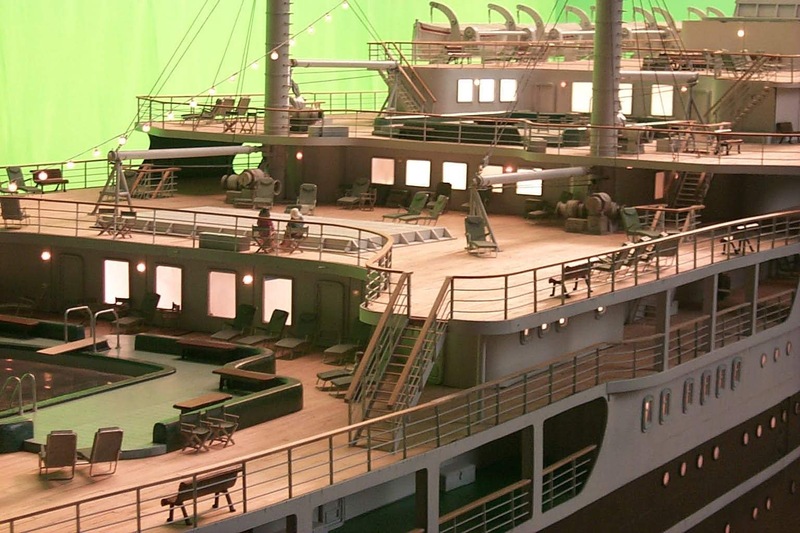 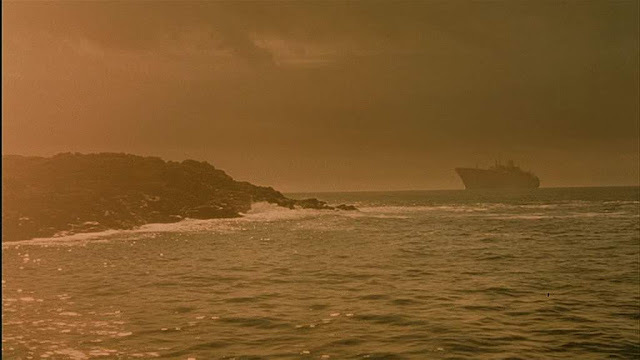 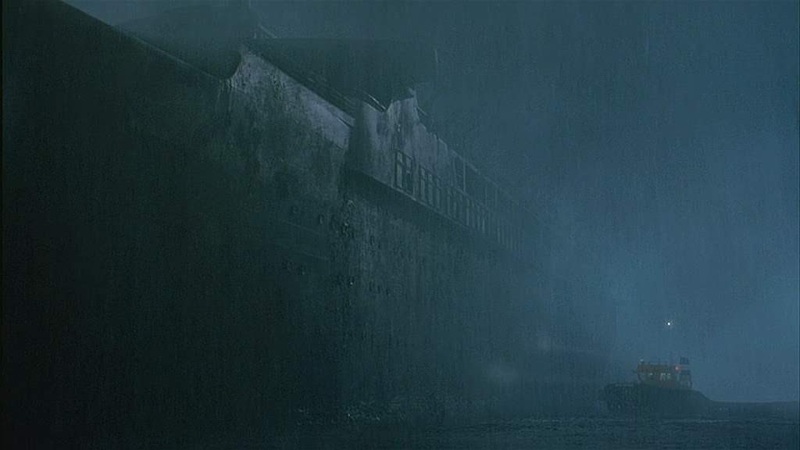 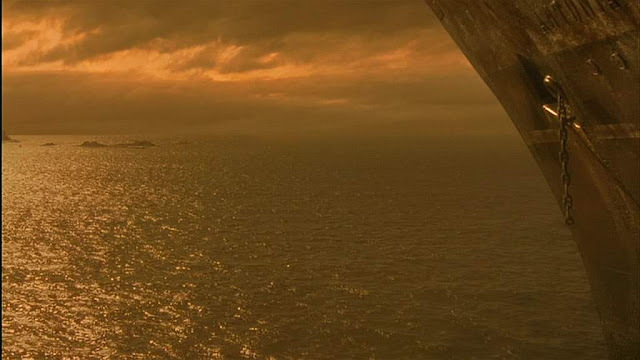 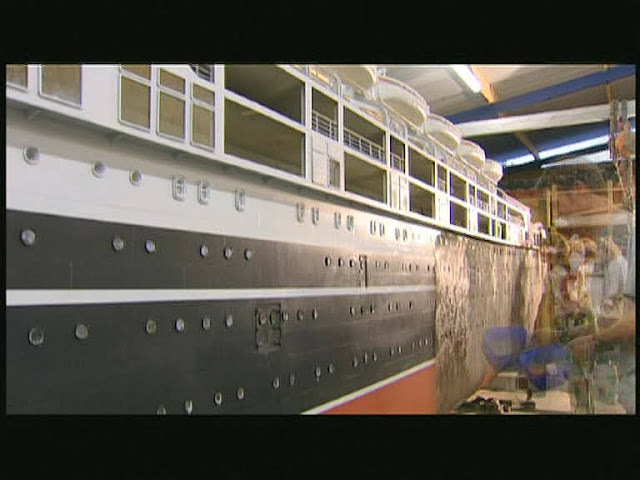 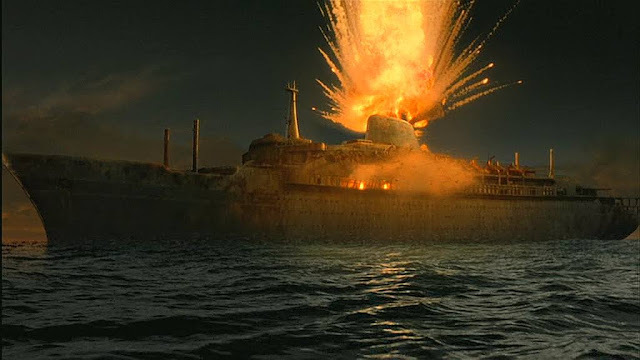 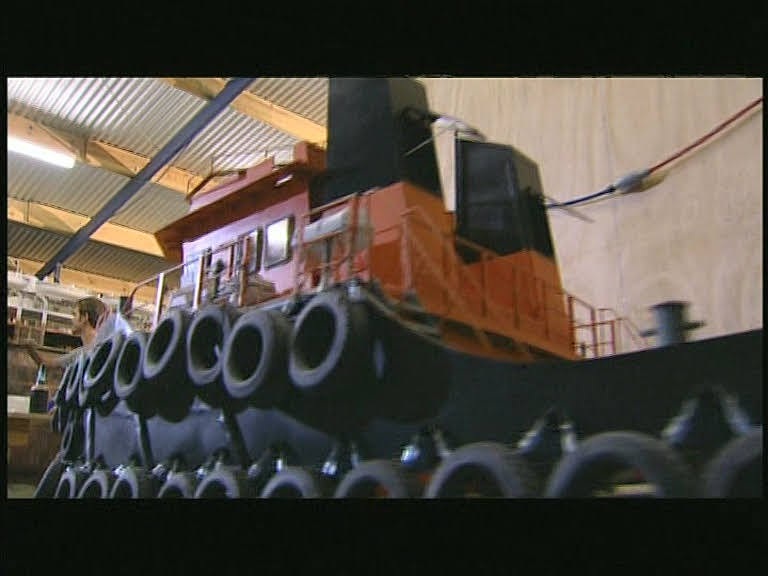 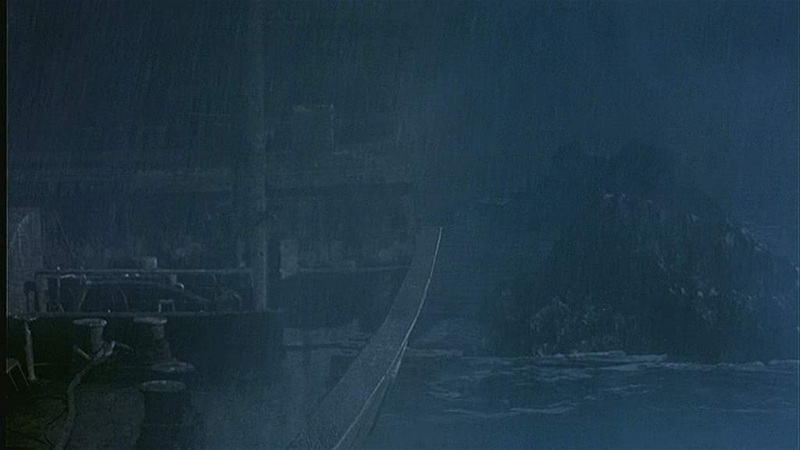 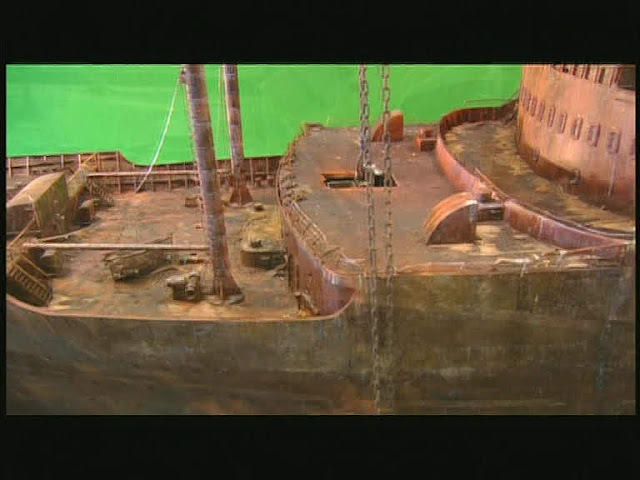 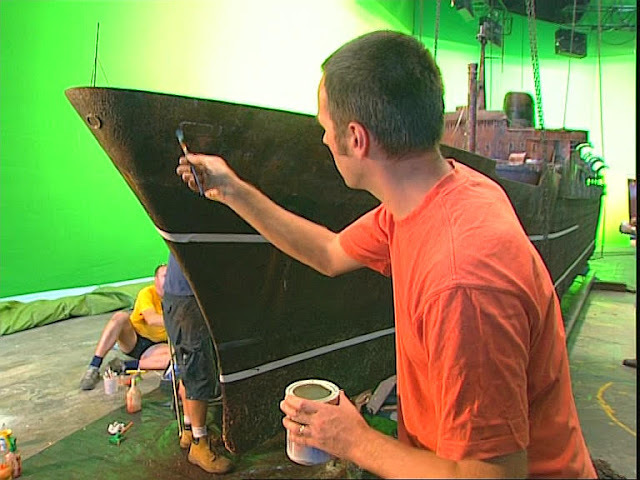 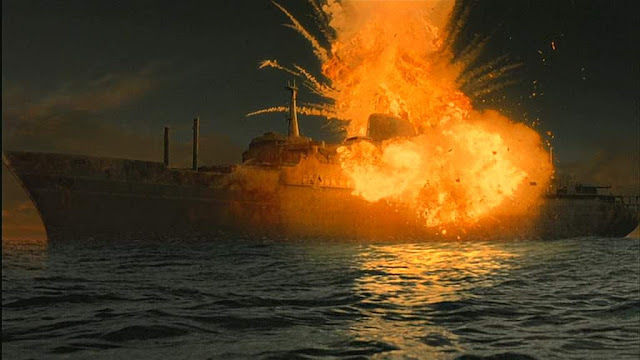 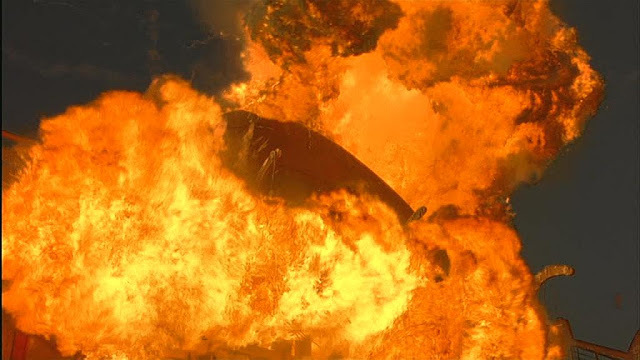 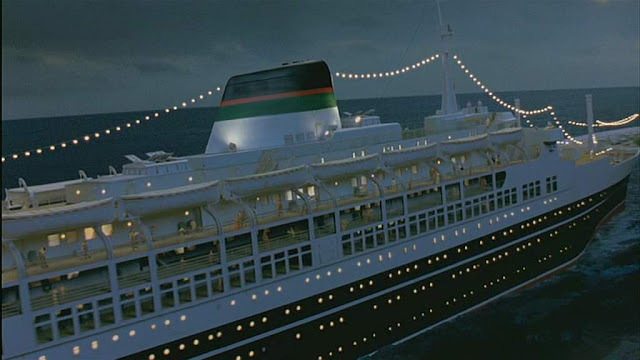 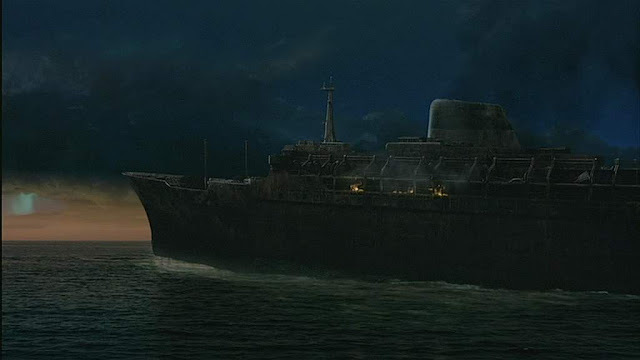 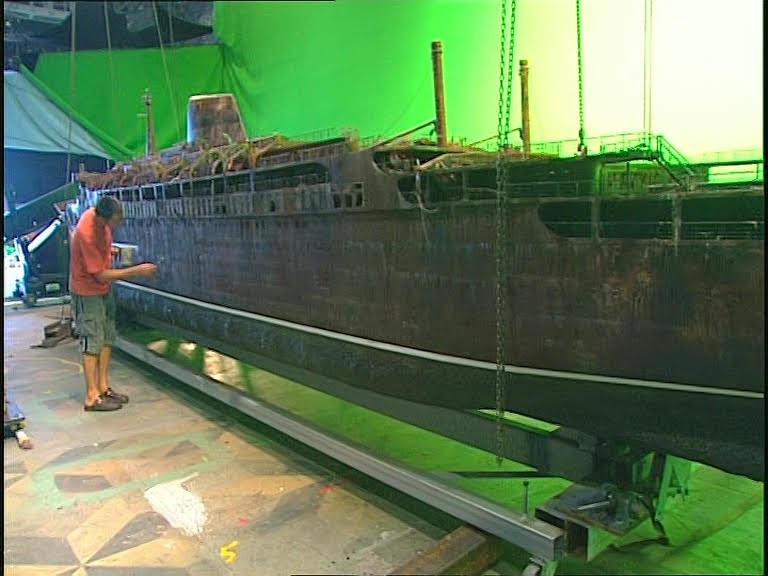 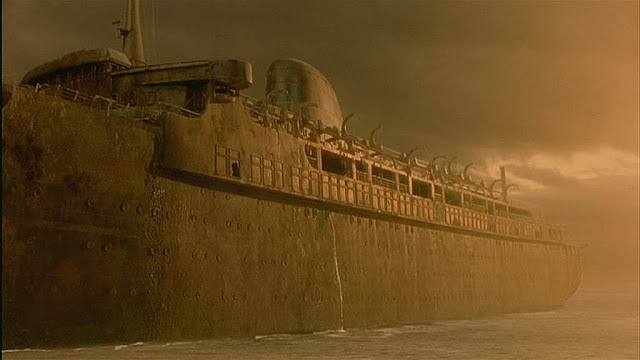 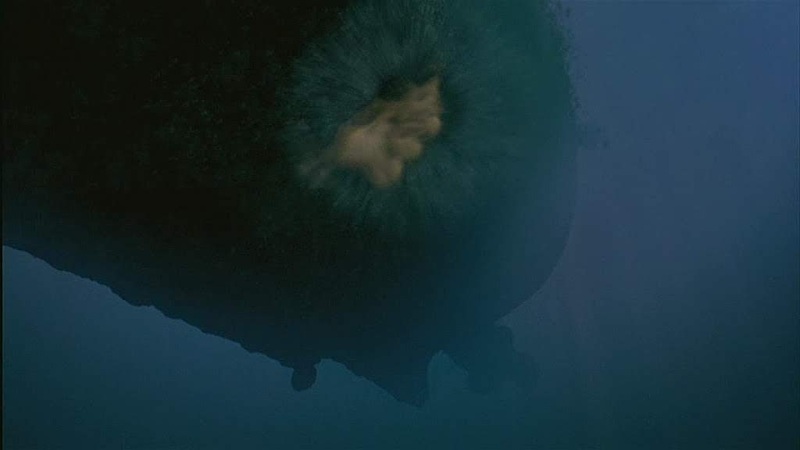 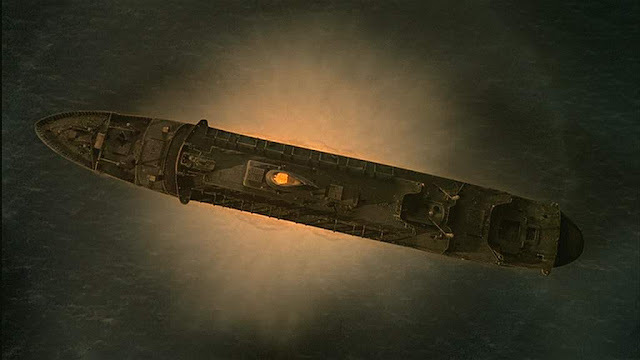 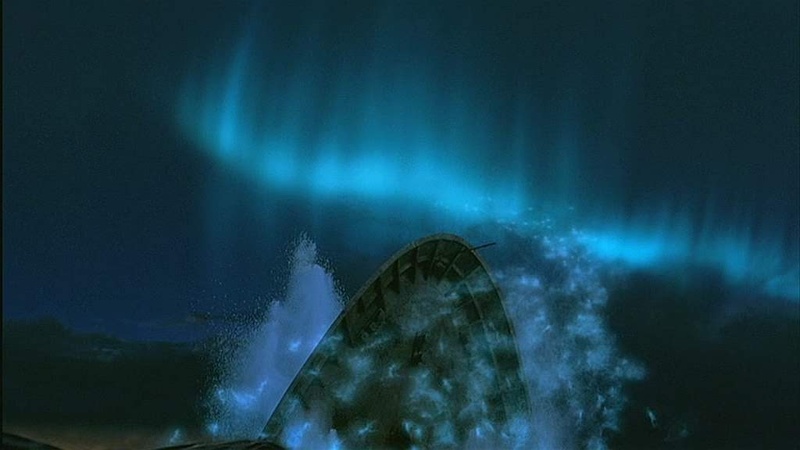 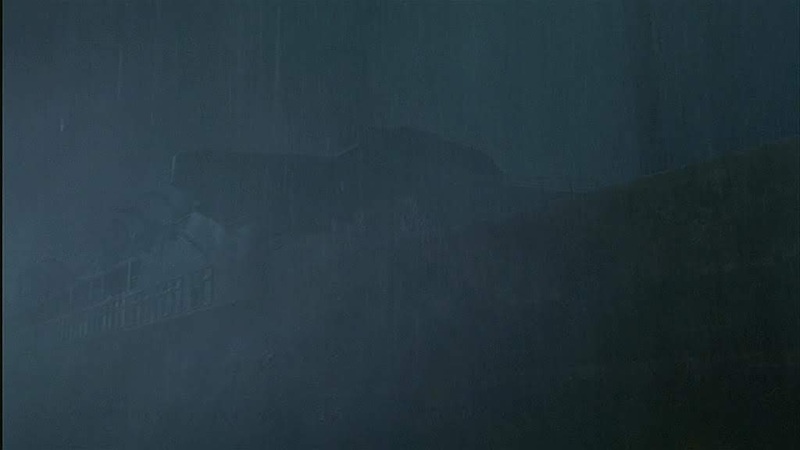 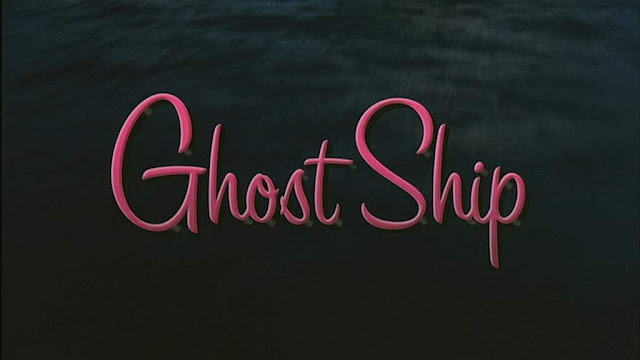 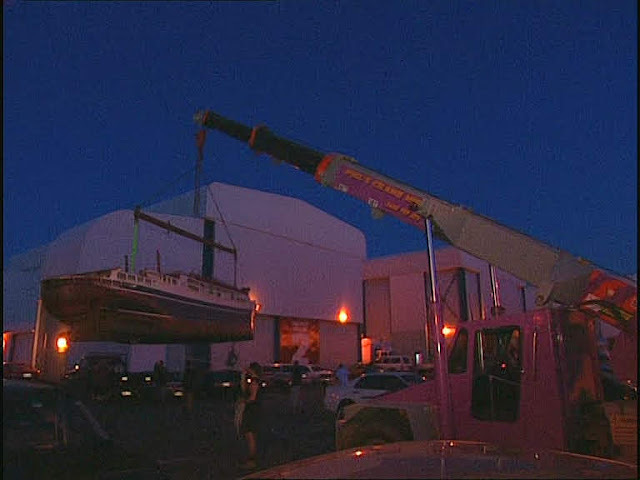 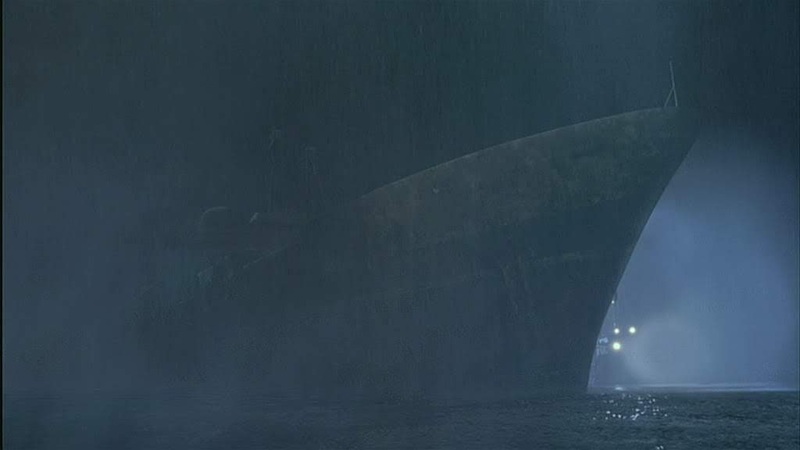 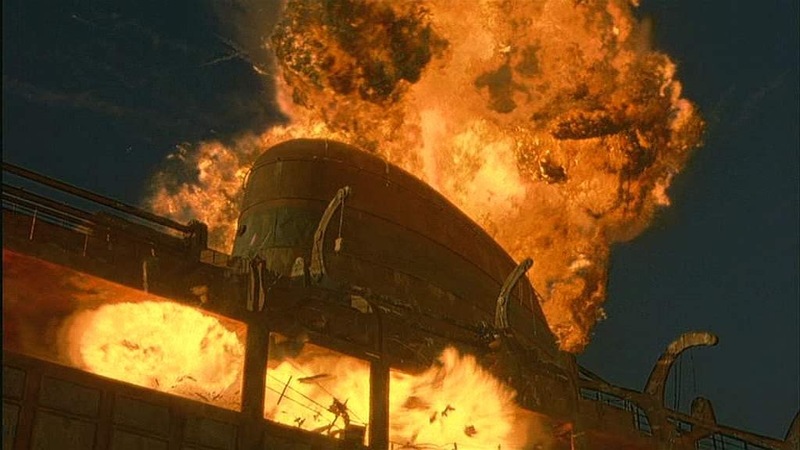 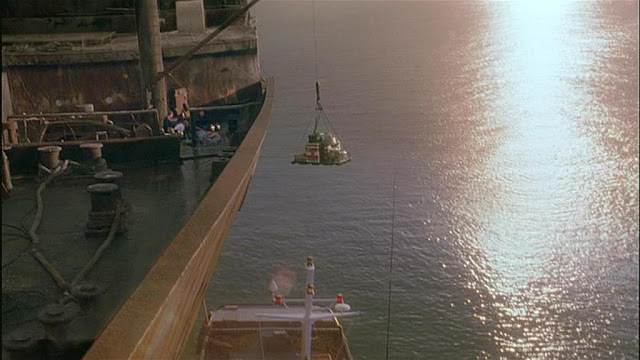 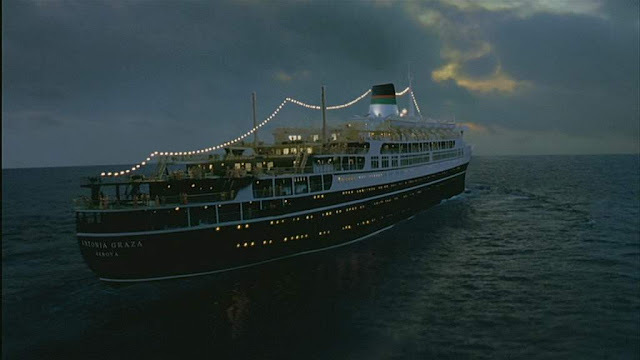 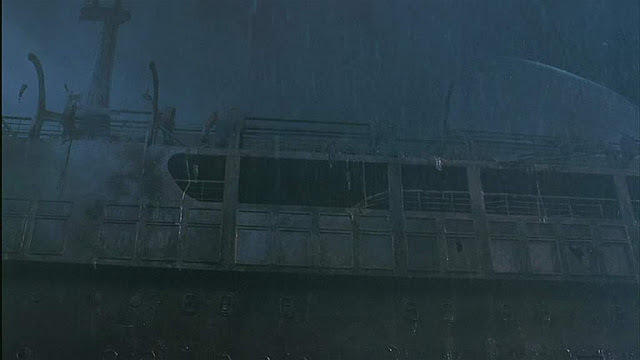 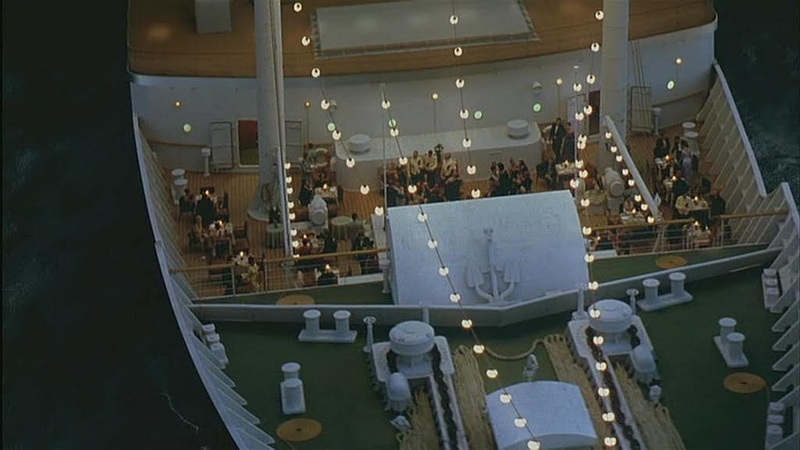 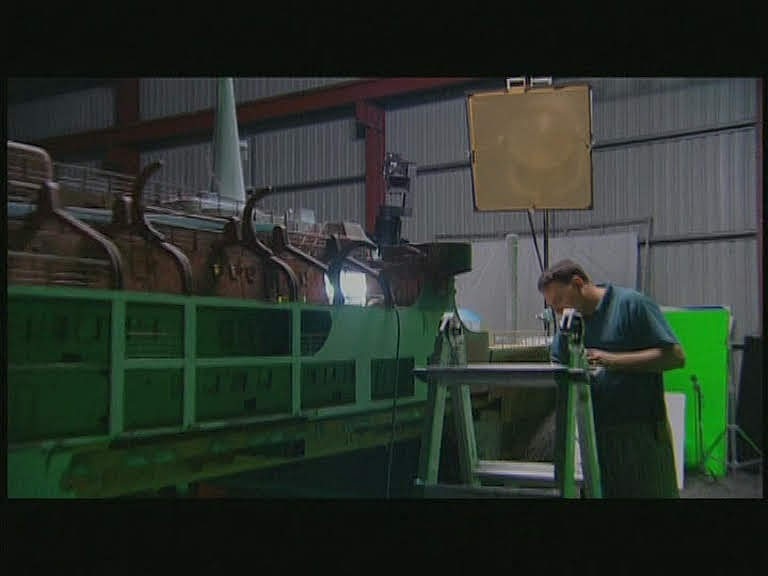 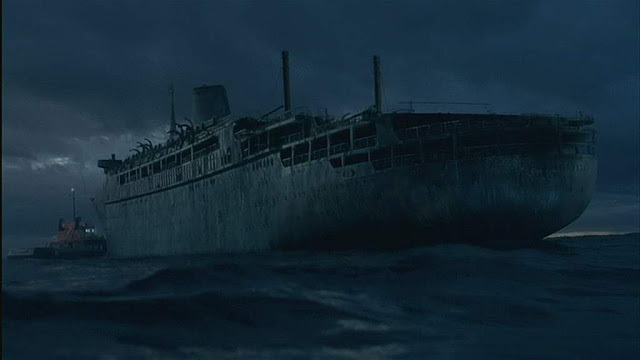 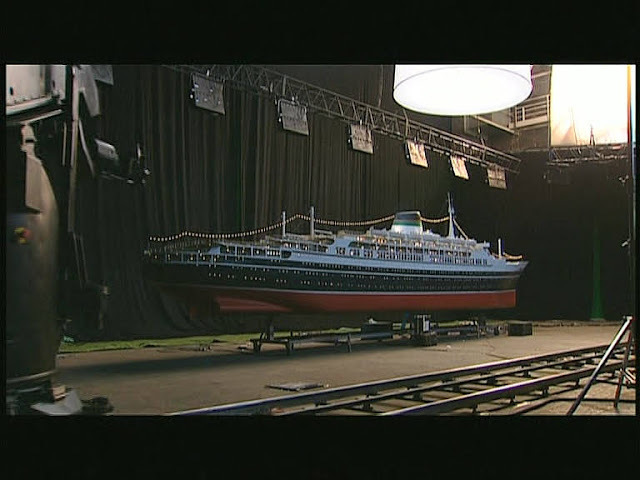 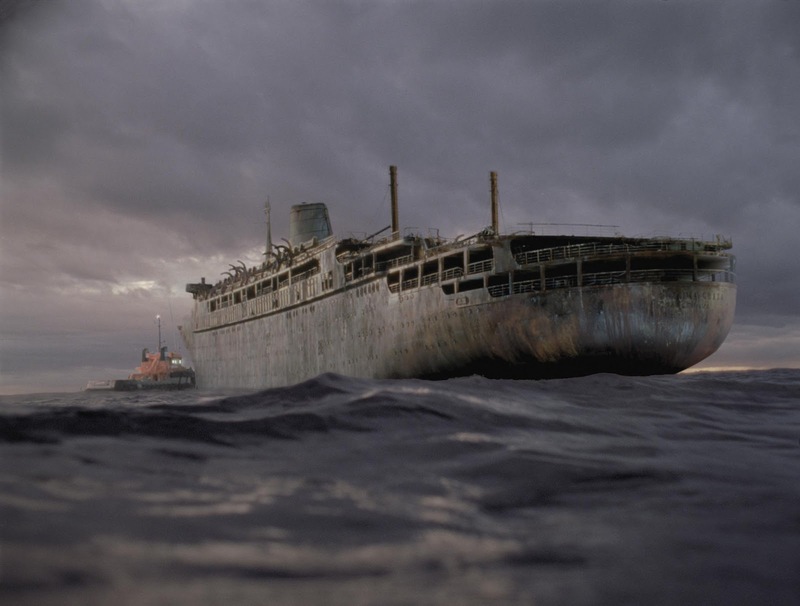 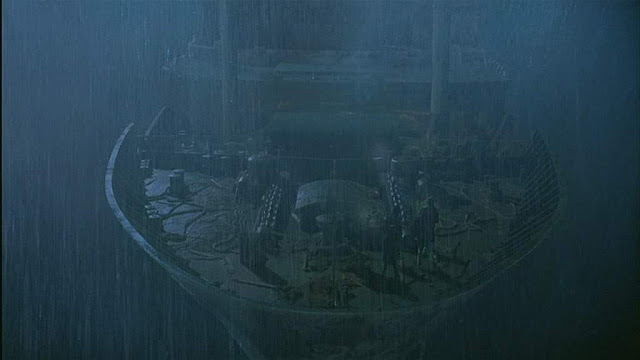 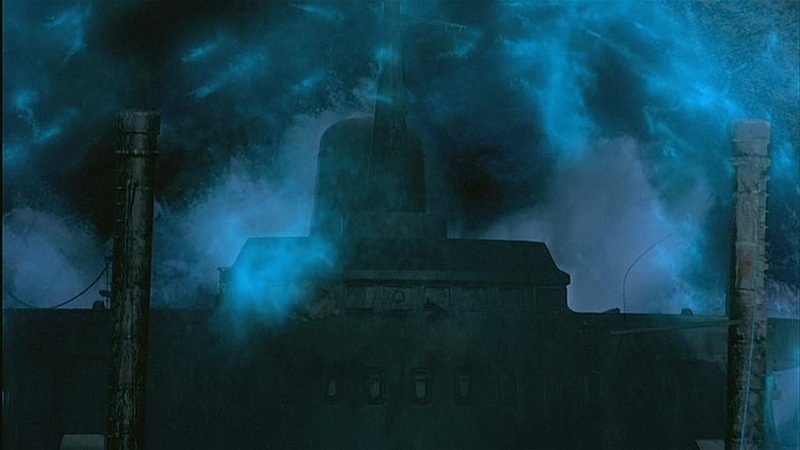 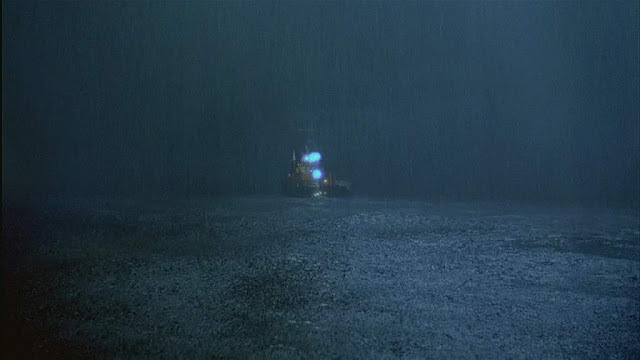 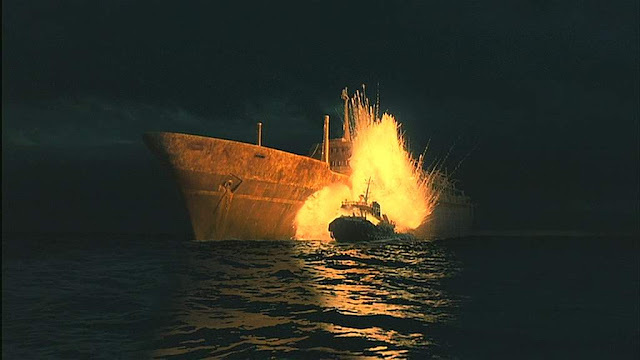 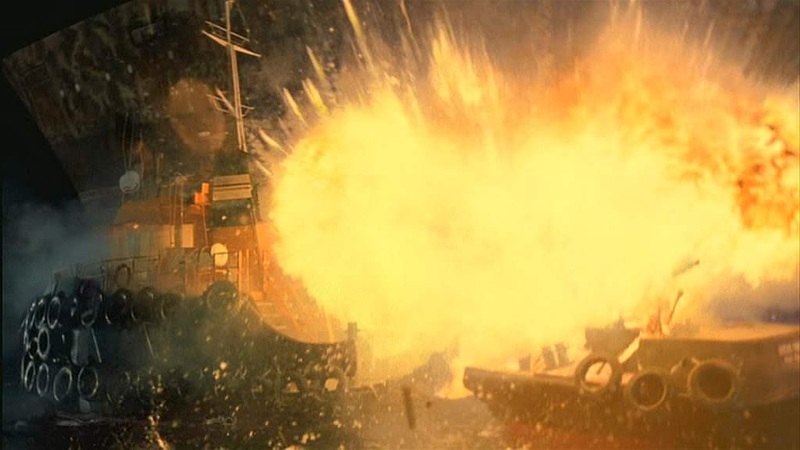 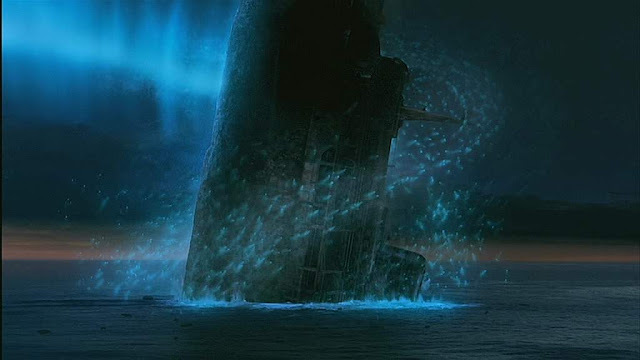 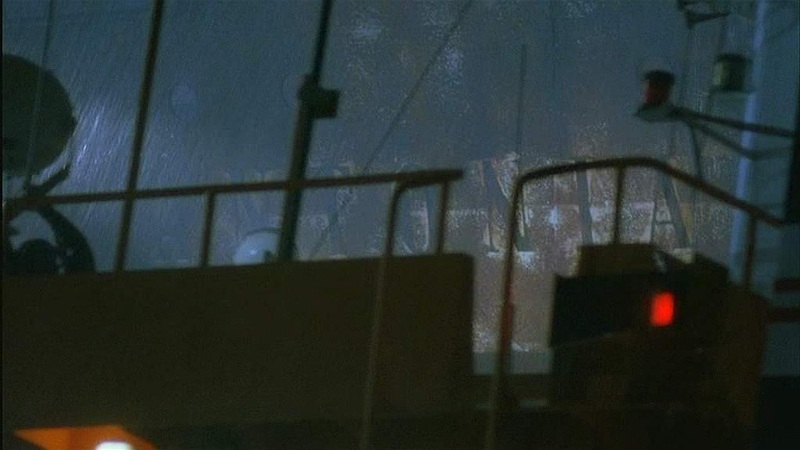 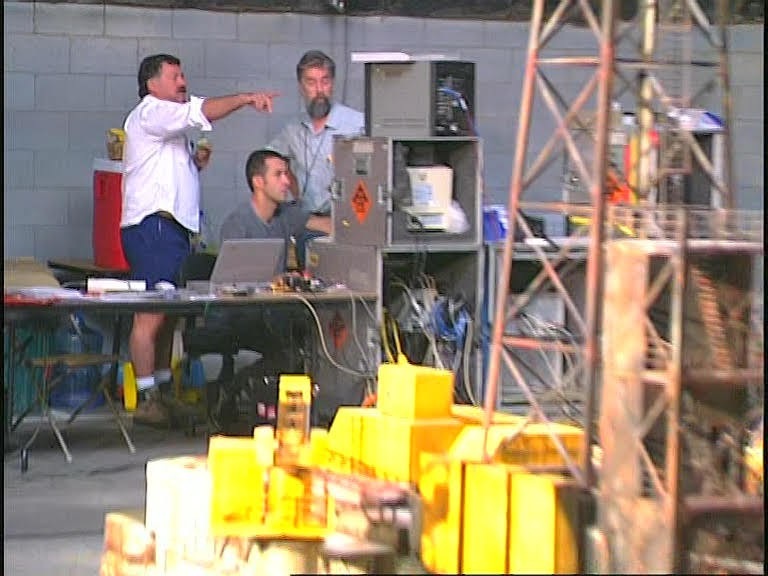 The ghost ship of the title, the fictional Antonia Graza, was represented by a large miniature shot in a dry studio with a motion control camera against a green screen. 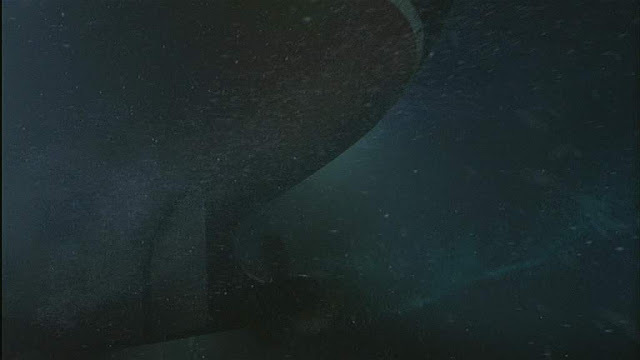 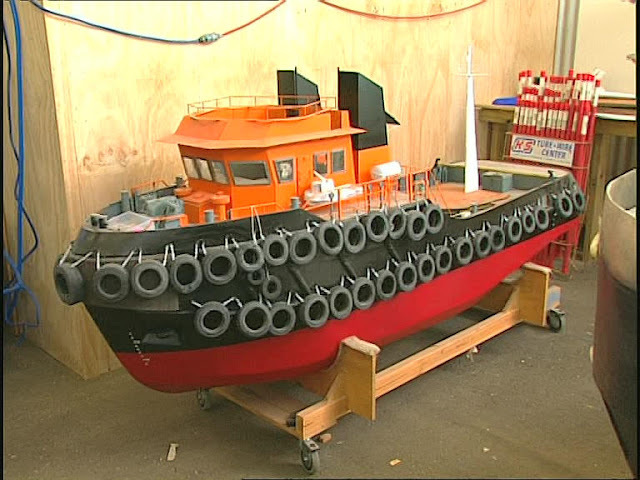 A sea going salvage tug and some type of processing barge were also constructed and composited into ocean plates which are more than likely done with computer graphics (CG). 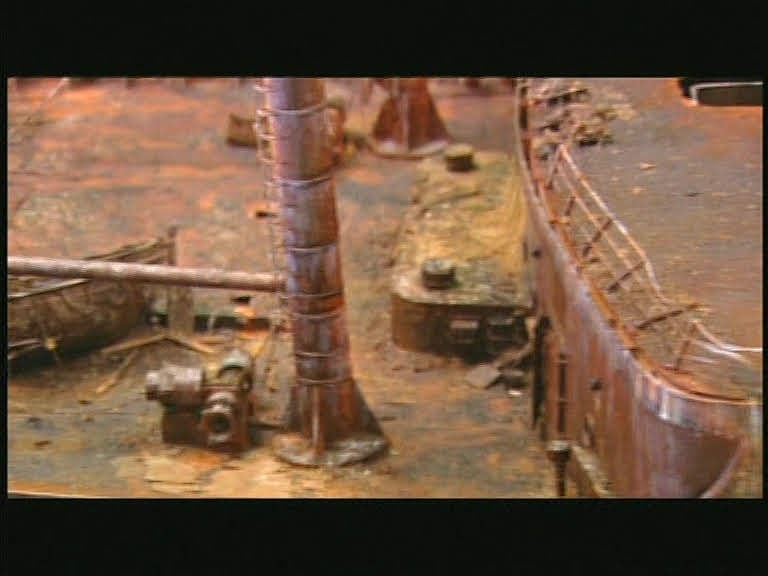 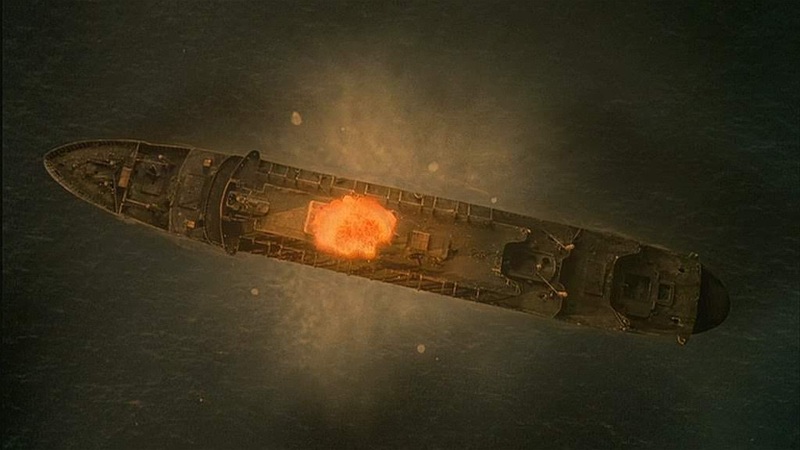 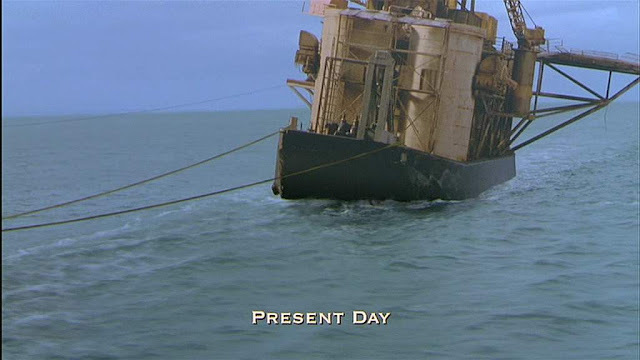 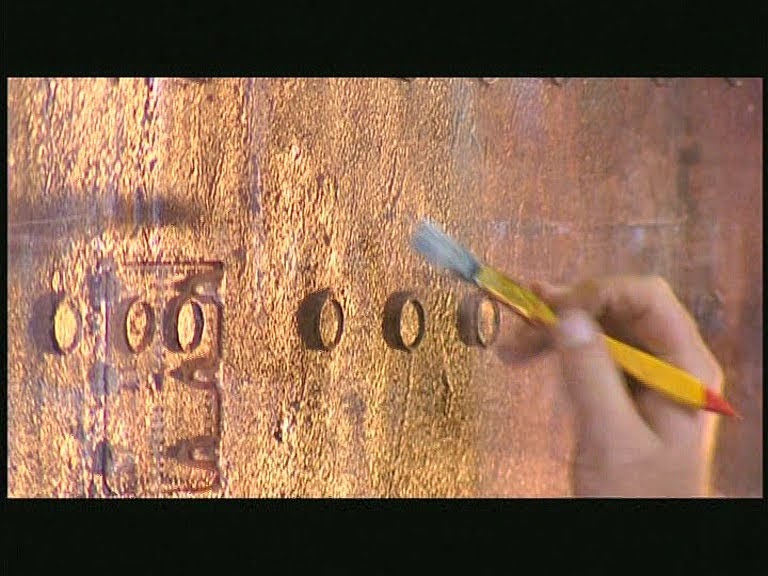 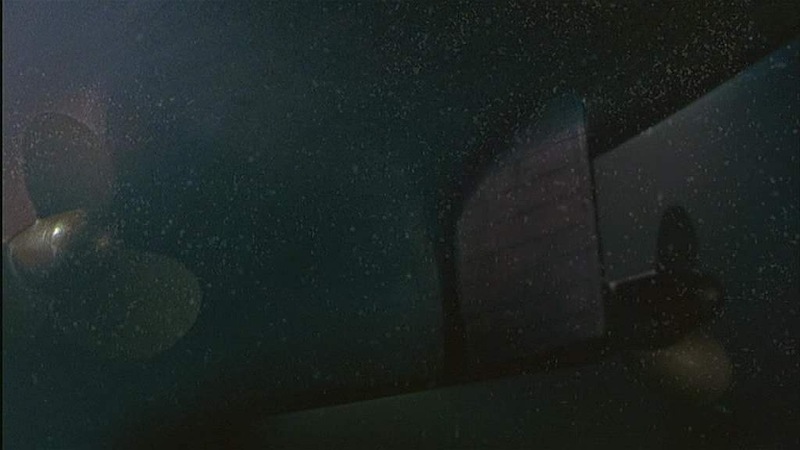 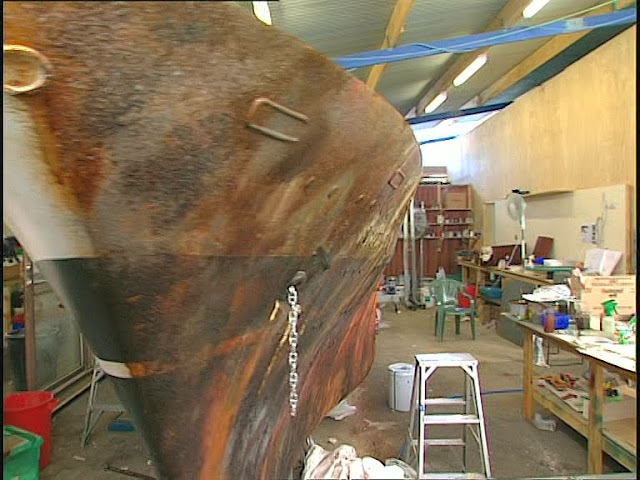 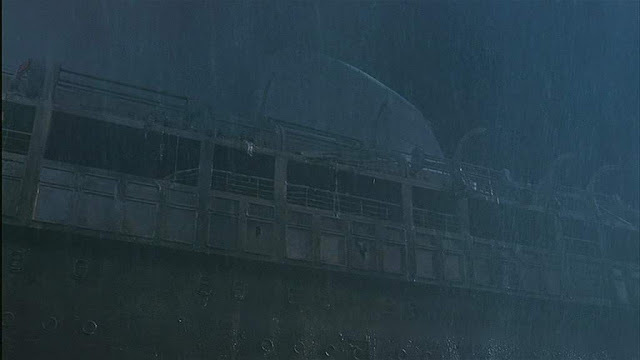 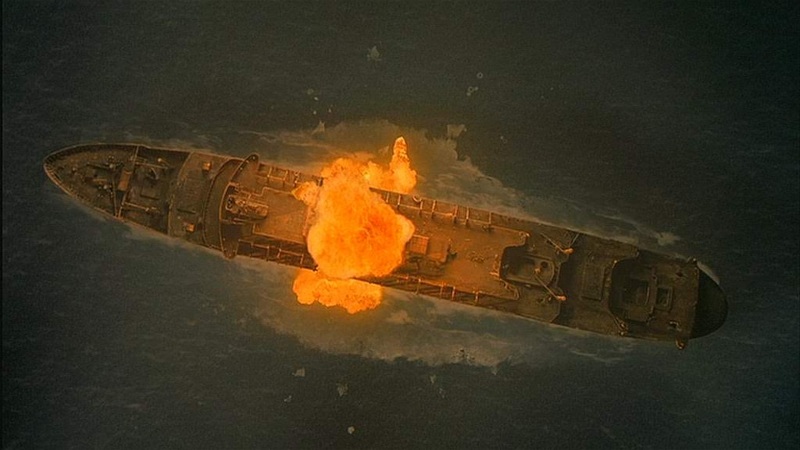 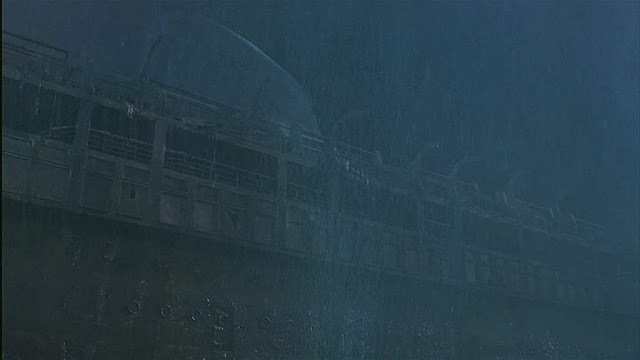 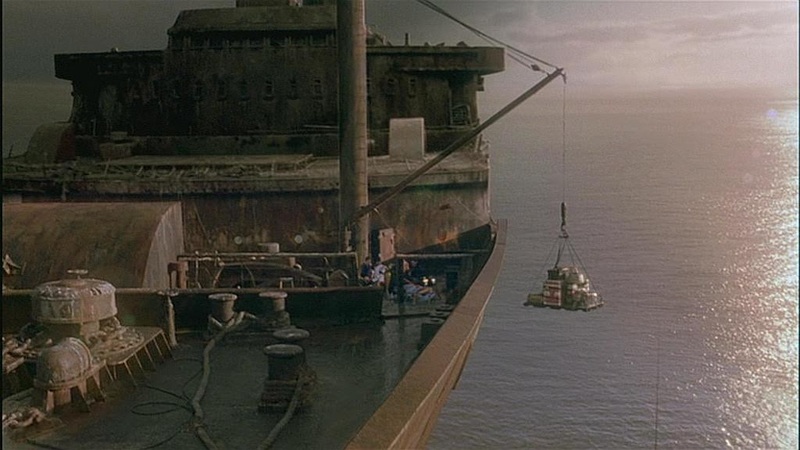 The ship is depicted in a pristine condition for the opening sequence and as a floating derelict for the rest of the film so at some point the model had to undergo a drastic change in the surface finish to depict the heavy rust and degradation from decades floating derelict. The ship visual effects for the most part are pretty convincing. 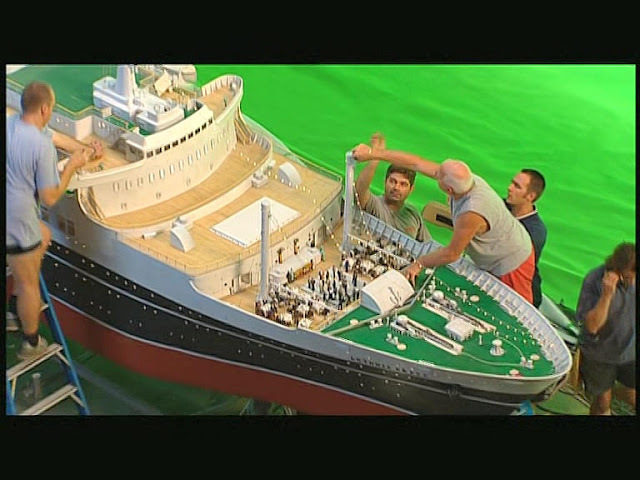 Its very nicely shot and the miniatures are pretty impressive. 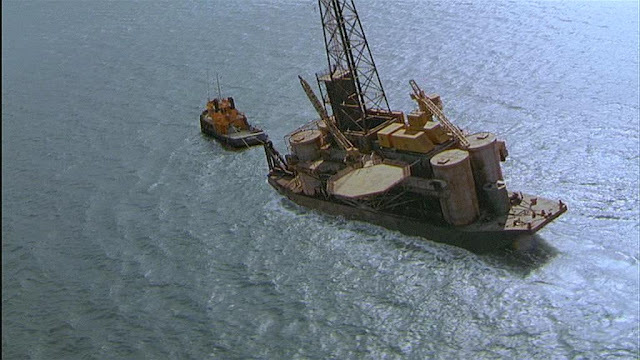 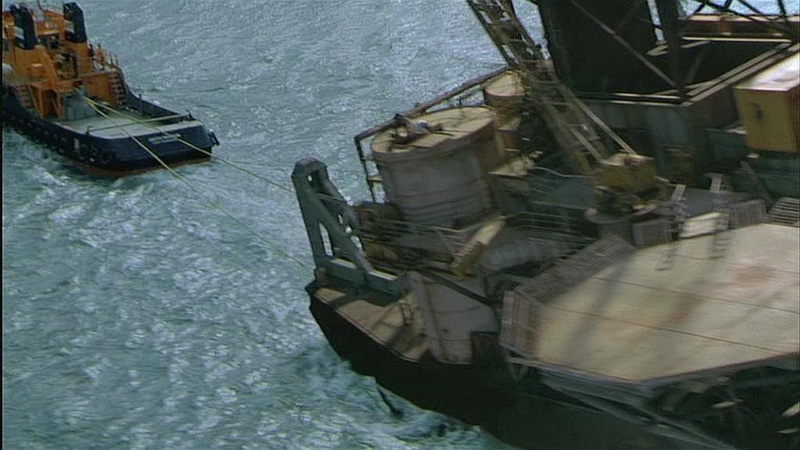 The one exception is the where the barge doesn't quite look like it is floating in the ocean. 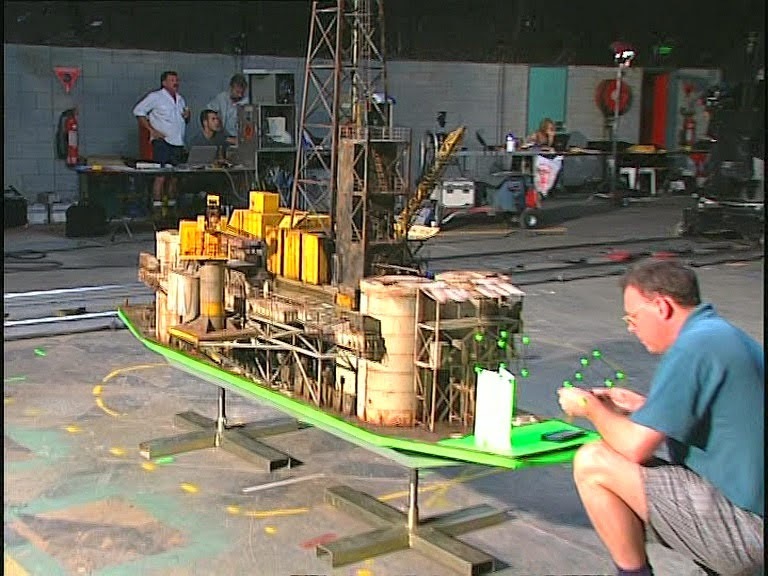 The barge model has a green screen base and a couple of green dot cube shapes where I can only guess the miniature was designed to fit atop a CG hull in a CG ocean surface. The green dot cubes would be for assisting in tracking the camera move on the miniature and creating a matching move in CG. 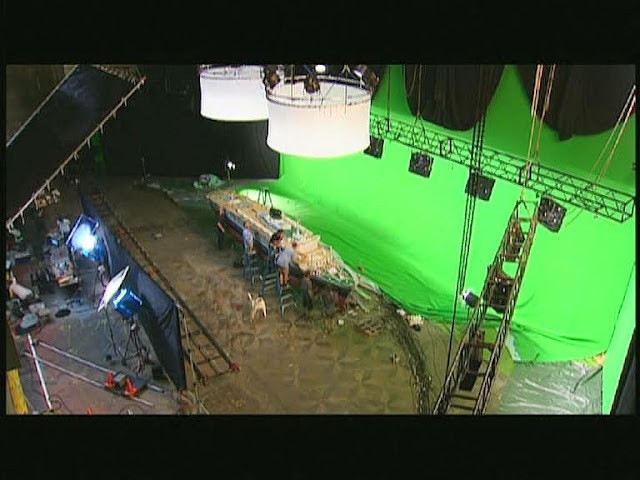 Green screen base to barge miniature with green dot tracking cubes. 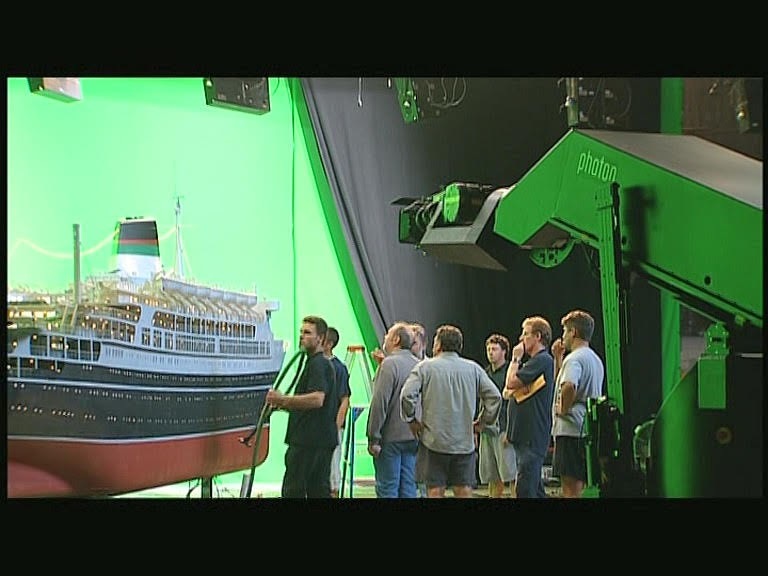 The visual effects were produced in Australia on the Gold Coast by Photon which no longer exists. 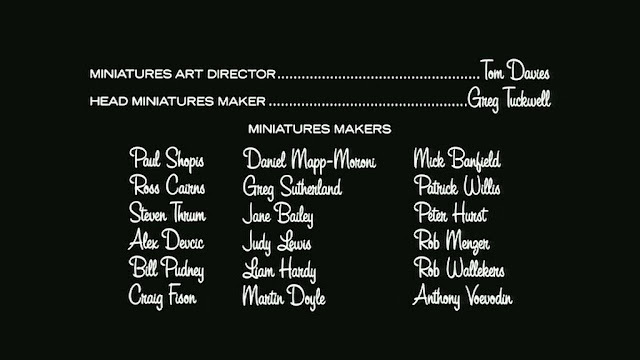 The miniatures supervisor was Tom Davies, Steve Newman was the miniatures Director of Photography and the chief modelmaker was Greg Tuckwell. 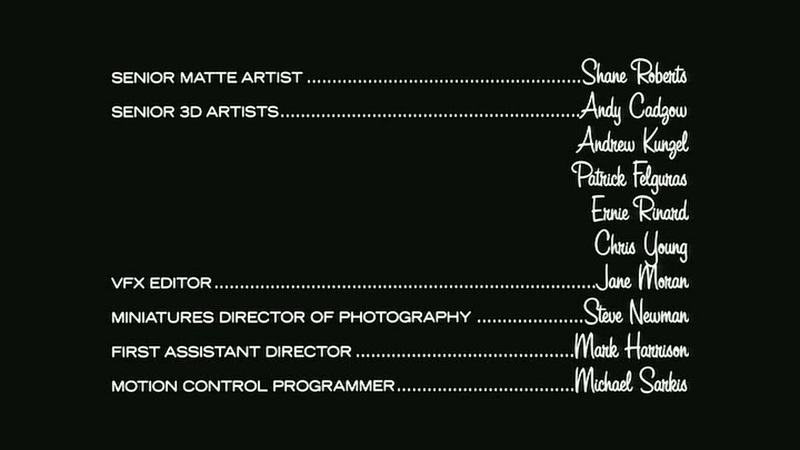 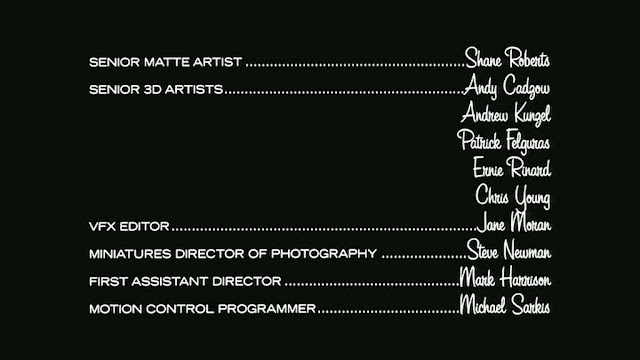 The Visual effects supervisor was Dale Duguid.